We see a lot of green in the underground. Much more than usual. As we climb up the stairs at Münchner Freiheit we can hear drums. 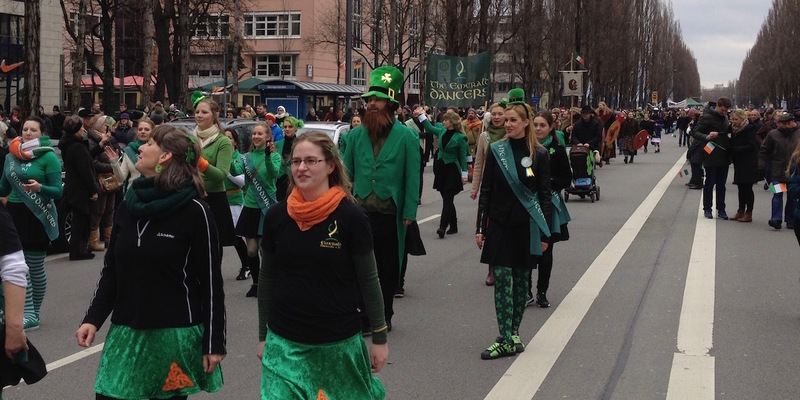 A few minutes later it starts: The 21st St. Patrick’s Day Parade in Munich.